Porto the town that many know for its famous Port wine is Portugal's second-largest city after Lisbon. Also called Oporto, it's an age-old, charming city, built on the hills overlooking the Douro River with a rich history and culture. In this article, we will explore some of the traditional food, drink and the interesting history and culture of Porto, vibrant yet a serene Portuguese city. Built on the hills along the Douro river in Northern Portugal, Porto is one of the oldest European centers, whose history dates back many centuries, as a settlement of the Celts, the ancient Greeks and an important port of the Roman Empire, which gave it the name 'Portus', or port. 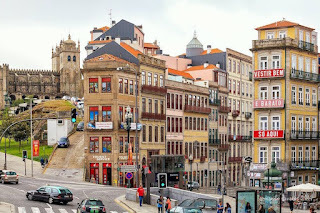 Porto was also a home to the Visigoths, one of the branches of the Germanic peoples in the 6th century and the Moors starting in the early 8th century. 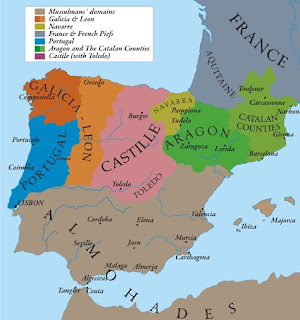 It was later a part of the Kingdom of León, until 1139 when Dom Afonso Henriques proclaimed himself as the King of Portugal. Initially, the area of present-day Porto was called 'Portus Cale' which means 'Port of Cale' and is said to have influenced the name of the country Portugal. 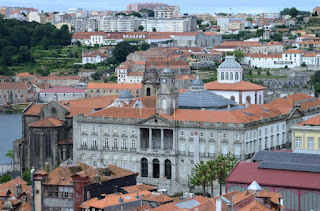 The name Portucale evolved into Condado Portucalense around the 9th century, which means County of Portugal, referring to the two medieval counties in the region around Braga and Porto. This region was the main center for the formation of the Kingdom of Portugal, which took its name from it. 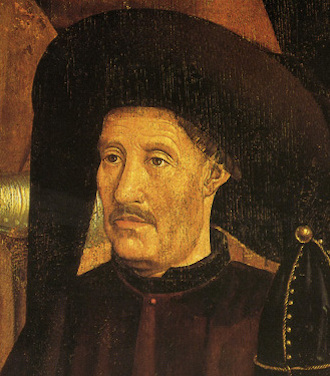 Porto's best-known native is Infante Dom Henrique, Duke of Viseu, better know as Prince Henry the Navigator. He was baptized in Porto in 1394, though there is little evidence he lived there very long. Dom Henrique was responsible for the early development of Portuguese exploration, search for new sea routes and maritime trade, and hence credited with fostering the Age of Discovery, the period during which the Portuguese made important overseas discoveries including the sea route to India. The 1703 Methuen Treaty between Portugal and England which granted proportionally lower duties on Portuguese wine in exchange for the import of English textiles into Portugal had a beneficial effect on Portuguese wine. This treaty gave Portuguese wine a favorable treatment over French wine in the lucrative British wine market. Port wine in particular was the main beneficiary of this treaty as it appealed to the taste of the British consumer. A few British families still produce Port wine in Porto due to this historic treaty. The second decade of the 18th century was the start of rapid growth in shipments of Port wine and a period of great prosperity for both the producers in the Douro Valley and the Port wine shippers in Porto. 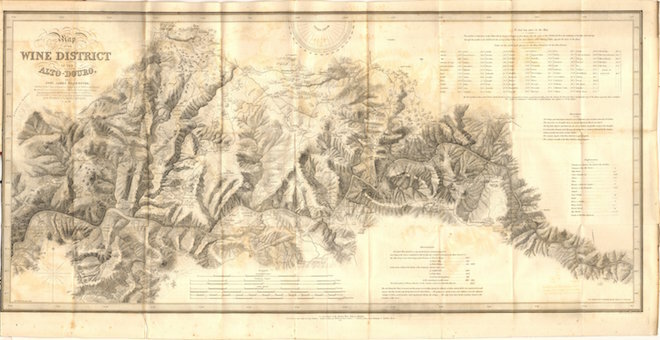 Between 1757 and 1761 the first comprehensive classification of the Douro Valley was carried out which extended from the city of Porto to the eastern border, making it the first demarcated and regulated wine region in the world. 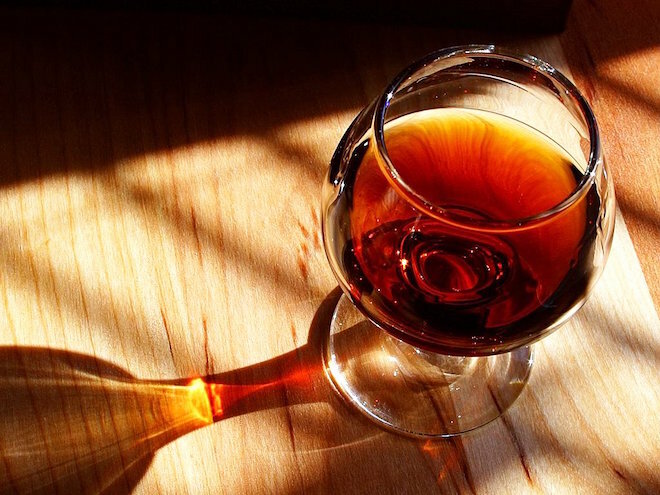 By the end of the 18th century, Port wine was exported to many places including the Russian Imperial Court and it represented around 50% of all Portuguese exports. Porto is a charming and vibrant city located on the Douro’s north (right) bank, sprawling outward from the older riverside district known as the Ribeira. The city built along the hills overlooking the mouth of the Douro River provides a gorgeous serene view and a reminder of its long history and development, in which the trade along the river played an important part. 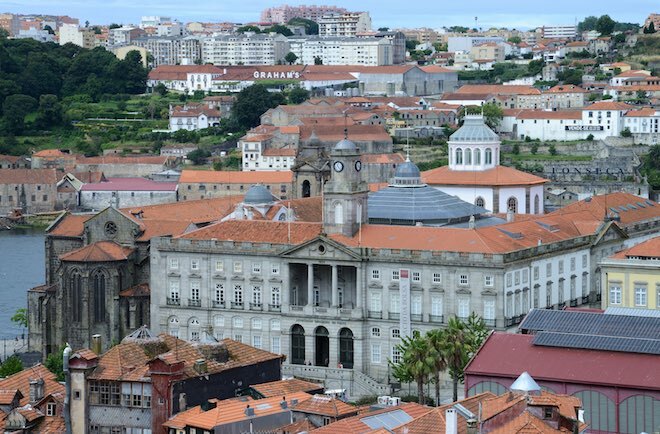 In 1996, the historic center of Porto, with its many historic buildings, which date back a thousand years, was declared a World Heritage Site by UNESCO. The architectural highlights of the city, include the Porto Cathedral, which is one of the cities oldest surviving monuments, along with the remnants of the medieval city walls, baroque churches and a few 15th-century houses. The Palácio da Bolsa (Stock Exchange Palace) built in the 19th century in neoclassical style is a fine example of the city's love for art and architecture. The highlight of the Palace is the Arab Room decorated in exotic Moorish Revival style and a great reminder to the diverse historical past of this beautiful city. Porto is home to a number of dishes from traditional Portuguese cuisine. Two of these dishes, Tripas à moda do Porto and Bacalhau à Gomes de Sá were the finalists in the 7 Wonders of Portuguese Gastronomy, a competition which was created to promote the national gastronomic heritage of Portugal. 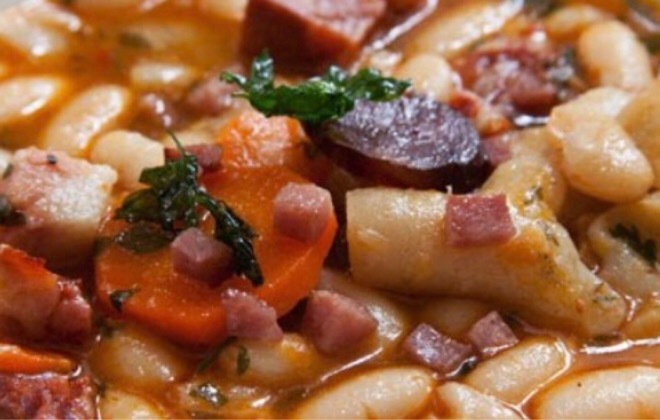 Tripas à moda do Porto is an iconic dish from Porto made with various types of meat, tripe, sausages and white beans. The dish is said to represent the generosity, love and sacrifices of the people of Porto for their country. According to the legend, in 1415, when Prince Henry the Navigator was preparing his ships to conquer the port of Ceuta on the north coast of Africa, he asked the inhabitants of Porto to donate food, which they readily obliged by giving all that they had, and kept only tripe for themselves. They therefore had to invent food alternatives, thus giving rise to the dish 'Tripas à moda do Porto'. The people from Porto are affectionately called 'tripeiros' which means tripe-eaters. Gomes de Sá Bacalhau is a typical codfish dish that originated in Porto and popular in Portugal. It is named after its creator José Luís Gomes de Sá Júnior, who was born in Porto in 1851. José Luís Gomes was a cod trader and is said to have sold the recipe to his friend João, a cook at the Lisbonense restaurant, in the city of Porto. The original recipe proposes that the cod be cut into small flakes softened in milk for about 90-120 minutes, then cooked with olive oil, garlic and onion, accompanied with black olives, chopped parsley and boiled egg slices. This dish is usually paired in Portugal with a red wine from the Vinho Verde region, made from the Vinhão grape which has good acidity and low alcohol, or a red Douro wine. 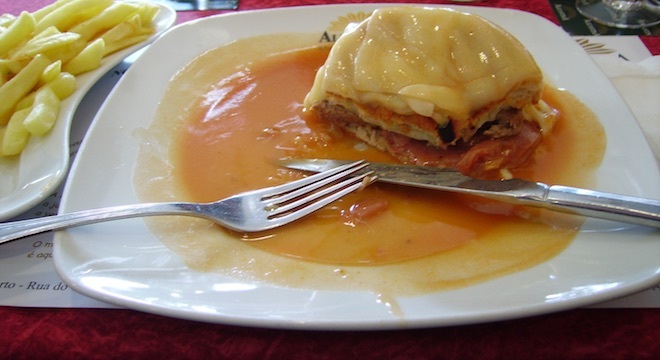 Francesinha which literally means little French is a popular sandwich in Porto. It consists of fresh sausage, ham, cold meats and beef steak or, alternatively, roasted pork tenderloin, covered with melted cheese. It is garnished with a rich tomato and beer sauce with the addition of a little spicy flavor from piri-piri, a hot pepper sauce. It is typically served with french fries. It is said that Francesinha was invented in the city of Porto, in the 1960s by Daniel da Silva, a returned emigrant from France who tried to adapt the croque-monsieur (a French snack) to Portuguese tastes. There are different variations of the francesinha with chicken, cod, mushrooms, prawns, tuna, vegetables, among others. 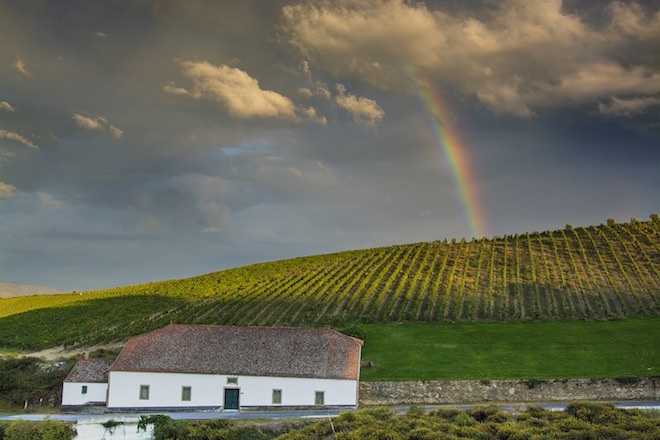 Porto which is part of the Douro valley wine region, is famous for its Port wine, but many fine good-value red wines can also be found here to accompany the delicious cuisine from Porto. The styles of wines produced in the Douro wine region, range from light to rich complex wines aged in oak. 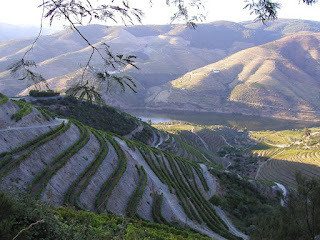 The Upper Douro is considered to be one of the most difficult places where vineyards have been planted and the terraces which were build along the mountainsides to hold up the soil and plant the vines are a testament to the hard work, determination, passion and engineering skills of the people from this region that were required for wine-making. 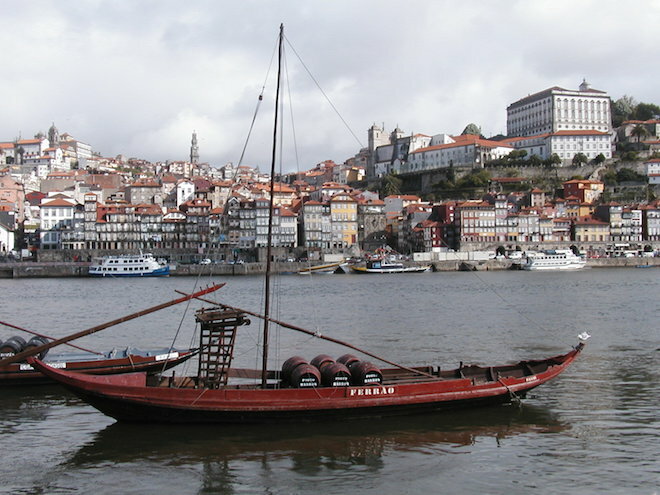 The historic center of Porto and Vila Nova de Gaia offer wine cellar tours and tastings providing a historic glimpse into the 17th century beginnings of port wine production, when English merchants added a dash of brandy to the local Douro red wine, creating a post-dinner drink called Port wine. 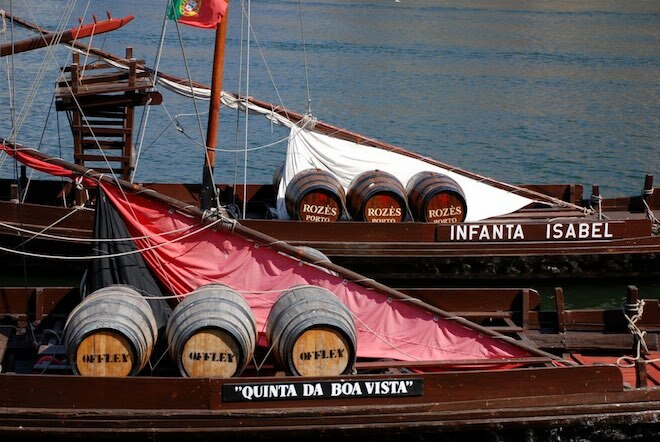 The shipment of wine from Porto to England involved a long sea voyage and therefore to prevent the wine from spoiling, the merchants experimented by adding a small amount of grape spirit, or brandy, which increased its strength and helped preserve the wine for a longer period of time. The wine appealed to the taste of the British consumer and hence Port wine was born. 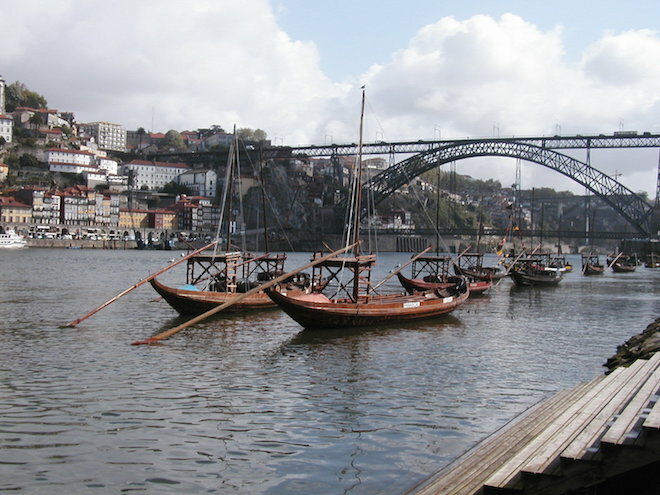 Due to the mountainous terrain of the Douro and the long difficult land route of transporting the wine barrels to England, the merchants used the Douro river to transport the wine barrels to Porto in small boats called rabelos, from where ships would carry them to England, through the Atlantic Ocean. 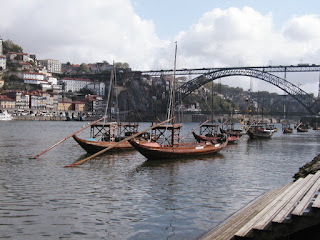 Porto hence became an important trading center for the Portuguese Port wine industry. The fortified wines from the Douro took the name of the city from where they were shipped, and were known in Portuguese as 'Vinho do Porto' and in English as ‘Port’. There are different styles of Port based on how the wine is aged. Additionally, being a fortified wine it also has a remarkable ability to continue improving in cask, vat or bottle for much longer than most other wines. Ports can be grouped into two broad categories—wood aged Ports which age in cask or vat, normally made of oak, and bottle aged Ports which spend most of their time maturing in the bottle. Ports that are aged for less than 10 years have a deep red youthful color and intense fruity flavors of cherry, blackberry and blackcurrant. As Port ages in wood, the firm tannins and intense fruit flavors mellow and the wine acquires a slightly woody, nutty, dried-fruit flavor, while the color changes to a more paler shade of brown, known as 'tawny' color. The following are the different styles of Port. Ruby Port - Aged in a vat for 2 or 3 years. Young and inexpensive. Reserve Port - Higher quality and aged for a longer period than Ruby Port. Vintage Port - Made from the best grapes from a single outstanding harvest year or vintage-worthy, which usually happens just a few times a decade. It is kept in wood for around 18 - 24 months before being transferred to the bottle where it will continue to age. Late Bottled Vintage Port - Made from a fine selection of grapes from a single year, aged in wood for 4 to 6 years. Intended to offer the experience of Vintage Port at a lower price. The term 'Late-Bottled' implies that it is bottled later than a Vintage Port. Tawny Port - A blend of several vintages and the label indicates the number of years the wine is aged in wood. The official categories are 10, 20, 30 and over 40 years. Colheita Port- A single vintage Tawny port aged in wood for a minimum of seven years. Traditionally Port wine is served towards the end of the meal as a dessert wine, or with cheese or dark chocolate, or an after dinner drink. Douro wines are a good accompaniment with the food in Porto. Young Douro white wines which are crisp, with good acidity are great with grilled fish dishes, mussels or clams. The more mature white wines pair well with the traditional bacalhau (salted cod) dishes or chicken. The Douro red wines which tend to be robust, earthy, full bodied, with red fruit flavors pair well with game meats, beef roasts and stews. The younger red wines can be paired with some bacalhau dishes like Bacalhau à Gomes de Sá and veal chops. The inhabitants of Porto who are called tripeiros are fiercely independent, adventurous people. The river Douro and the proximity to the Atlantic ocean have shaped the history and traditions of the people from Porto. 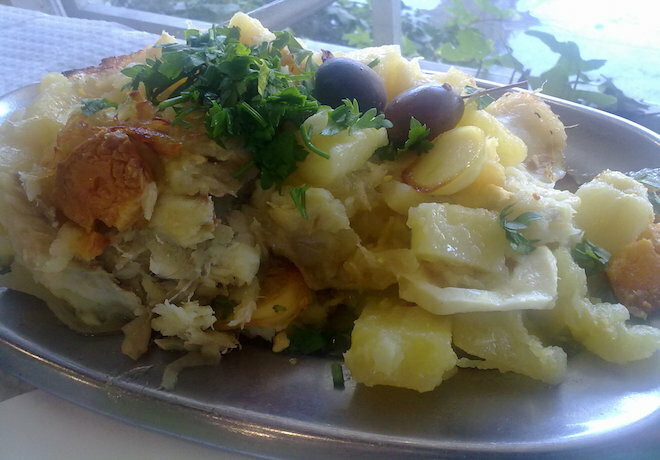 Its traditional bacalhau food dishes personify the spirit and the adventures of its past seafaring explorations for cod and later for the search of distant lands. 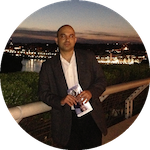 The people from Porto may seem a little reserved in the beginning but once you strike a conversation with them, their warm, friendly, genuine nature is evident and so is their love for food and wine. The architecture of Porto is a fine blend of its historical past and contemporary creations from the 20th century, which signifies the pride of its people in their illustrious past, and the desire to seek new ideas and look into the future. The life in Porto can feel laid-back, relaxed and easy-going but as you wander through the cobbled streets of its historic center, late in the evening, you will be drawn to its vibrant nightlife and fascinating mixture of old traditional restaurants and modern stylish pubs, where it may seem, that old traditions and cultures can live in harmony with new ideas.